One year on from the 2018 Commonwealth Games on Australia’s Gold Coast. CGF President Dame Louise Martin has congratulated the Games Partners on this special milestone, which has been marked by the publication of the official Post Games Report, detailing the benefits and legacy impacts of the Games on Queensland communities. During the course of the Games, Play Hard supplied 26 different sporting products, most of which were custom designed such as volleyball player’s shelters, beach volleyball observation chairs, remote controlled vehicles used for transporting equipment back to the athletes, hockey player shelters, mountain biking padding, podium transport boxes, and tailored boxing stand bell. – The Games are estimated to deliver a $2.5 billion economic boost to Queensland, including $1.8 million to the Gold Coast. – Approximately 82 percent of Games-wide contracts, worth nearly $1.7 billion, were awarded to Queensland businesses. – Growth in trade and investment is estimated to be worth $840 million largely driven by the opportunities identified through the Trade 2018 program. – 20,000 pieces of sports equipment gifted to schools, councils, sporting organisations and communities across Queensland. – Festival 2018, the arts and culture program, was the largest arts and culture event ever hosted in Queensland attracting more than 1.1 million attendances. – The GC2018 RAP (Reconciliation Action Plan) delivered an increase in procurement opportunities for Aboriginal and Torres Strait Islander businesses, generating more than $14 million in contracts and revenue for Aboriginal and Torres Strait Islander businesses. – The Games are estimated to support more than 21 000 jobs on a yearly full-time equivalent basis (FTEY) over the nine-year period before, during and after the Games. 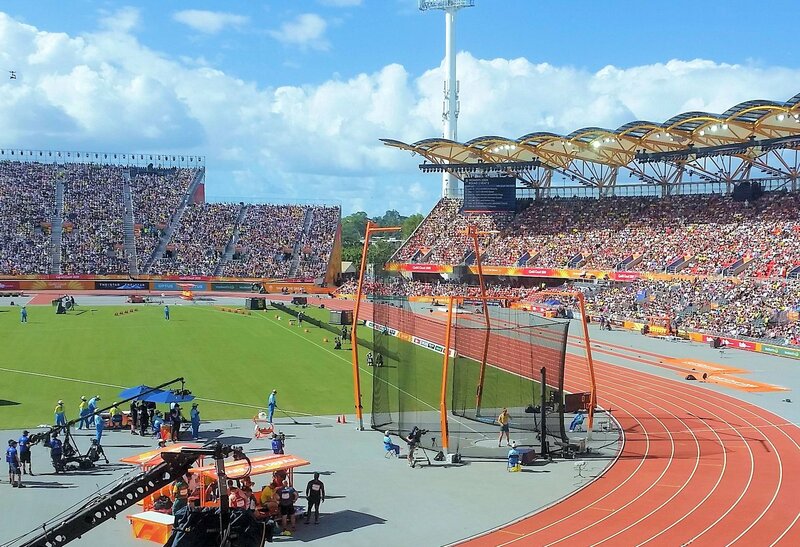 – About 1.3 million visitors will be attracted to Queensland as a result of Games, including 448 000 over the four years post-Games. These visitors are predicted to generate $1.1 billion in expenditure over the nine-year period, including more than $450 million in the four years post-Games. – Queensland and the Gold Coast continue to attract an increasing number of major national and international events with its reputation as a world-class events destination.